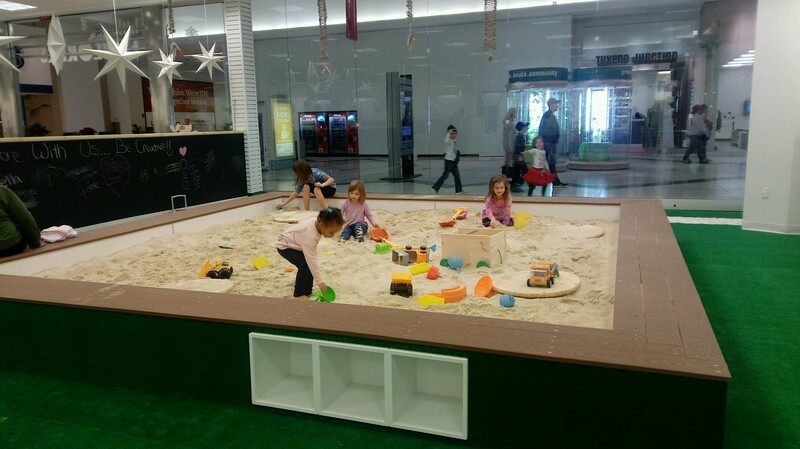 I have always felt that Cleveland has had a lack of indoor playgrounds. Yes, we have bounce-house places like the Jump Yard and Pump it Up. We have the trampoline parks, like Skyzone and Get Air. Which is great, because, lets face it: our kids love to bounce. We have arcades, like Dave & Busters and Chuck E Cheese. We have no shortage of indoor “entertainment center/ amusement park” type of places, like Fun & Stuff, Swings & Things, Make Believe and Scene 75; where energy runs high and you have your pick of exciting activities like bumper cars, laser tag and bowling. And don’t get me wrong: I love all of these, but none are a playground. And my daughter really misses playgrounds for those 4 to 6 months out of the year that they are inaccessible due to weather. I’m happy to report that in the past year or two, Cleveland has really stepped up its playground game. The new Children’s Museum of Cleveland (5 stars by the way; it’s amazing) definitely fits the bill, as it has an incredibly huge climbing structure, among other fun exhibits. I hope to soon make a visit to Café O Play, KidsPlay and PlayDay Café and see how they compare. We even liked Amazone in Medina, and will be back at some point. My favorite part: They are open the same hours as the mall! (which is 9 p.m. on weekdays), so even working moms can have a place to take their little ones in the evenings. We had a great time, and can’t wait to come back! Highly recommended. Be prepared to spend a few hours here. There is an upcoming Grand Opening event and New Year’s Noon Party on December 31. You must call Little Explorers at 440-641-1515 to RSVP before Friday, December 29 at 3 p.m.
Born and raised in Cleveland, Kristen spent many years exploring the “adult friendly” venues of this great city. Now, thanks to marriage and motherhood, she is enjoying discovering all of the kid-friendly activities that Northeast Ohio has to offer.